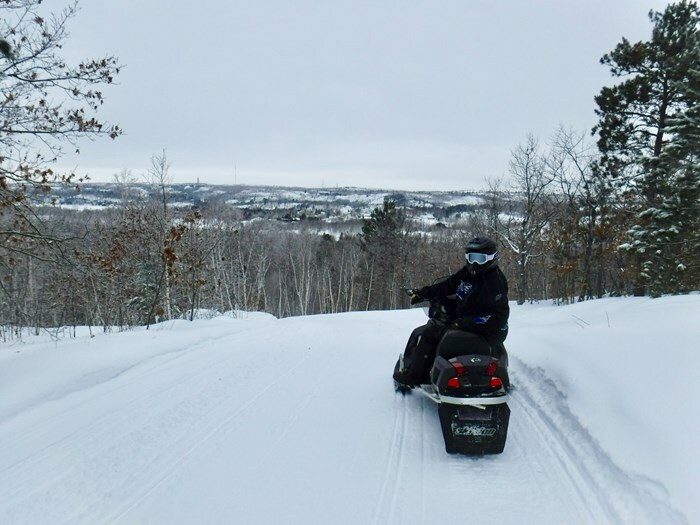 Another blue-sky day had our group excited to ride south of Sudbury to loop around the Rainbow Elk Snow Tour. 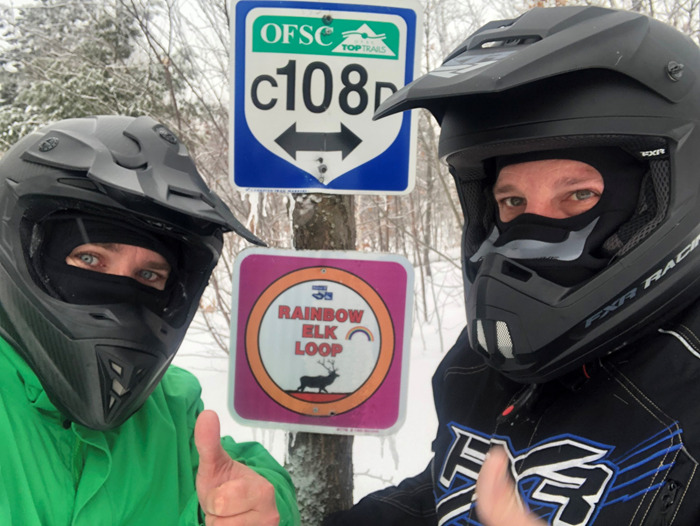 At 230km, this OFSC loop can easily be done in a day with plenty of time to stop for an extended lunch or to take photos with your group. Before we left for Sudbury, Bergstrom Skegs sent us a set of Triple Point Carbides to test out in an area that is approaching record snowfall for the year. I have ridden in the Sudbury area before but not for many years. Hearing about how much snow has fallen I had to see what it was all about. We set out across Ramsey Lake to pick up the D111. Crossing highway 17 we made our way south on the C trail. With a mixture of technical trails, rails lines and lake crossings there is something for everyone when encircling the Rainbow Elk Loop. The C107D trail will have your group continuing south along a beautiful section of the northern shore of Georgian Bay towards Killarney. If staying in Killarney ON be sure to check out the Sportsmans Inn. 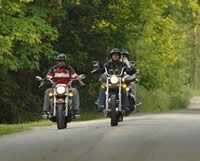 If you are a powersports enthusiast you will feel right at home with amenities that include a spa, fine dining and comfortable rooms. 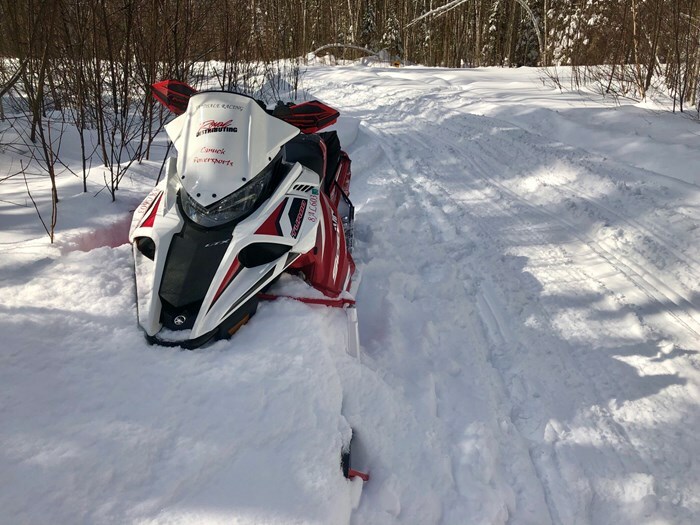 We topped off the sleds with fuel from the onsite pumps before enjoying a delicious lunch. 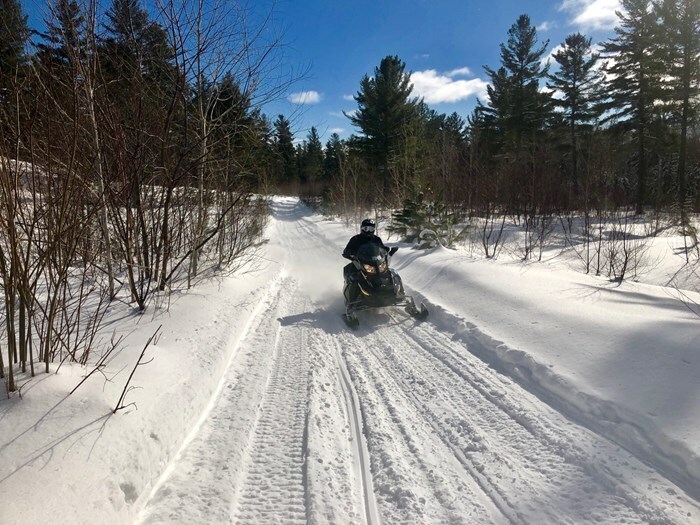 From Killarney you can access trails to the west that will take you towards Manitoulin Island, or continue north and head towards Elliott Lake. The possibilities are endless. Doubling back on C107D we blasted off towards the C113 which would take us north to the area of Lake Panache. With many camps in the vicinity you get the feeling of being in a remote cottage country setting. Anglers flock to target many species of fish throughout the abundance of lakes that populate the area. In the late 90’s and early 2000’s the Elk relocation project was put in place to bring 200 Elk from Alberta to the Sudbury area. An estimated ¾ of these Elk still inhabit the area. If you are lucky enough to see the herd, this would be the area in which you would have a good chance. Catching the C108D we picked up the pace crossing Long Lake to the D111 to enjoy the last leg of our day. The new carbides had the Royal Distributing Sidewinder handling as if it was on rails for the entire day. Arriving back in Sudbury mid afternoon left us with plenty of time to reflect on the Rainbow Elk Loop and make plans for where we were going to ride the following day. 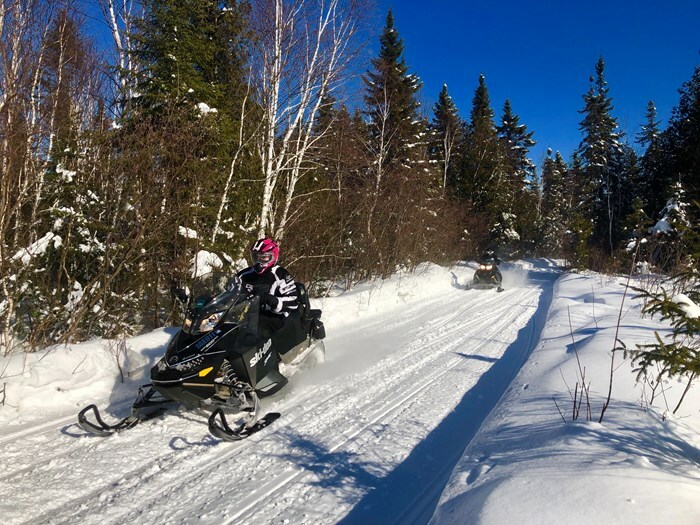 The Sudbury region has many OFSC tours in the area which makes it possible to conquer many tours all while staying in one location. 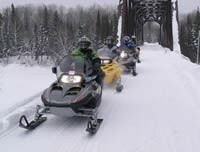 Be sure to check out the Deer Loop, Chiniguchi Wolf Loop and Cartier Moose Loop all within a few hours drive from the Toronto area. 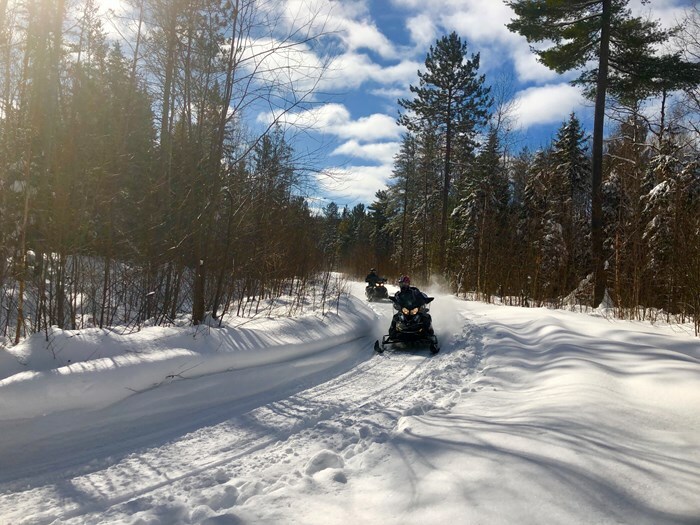 Record snowfalls and perfectly groomed trails will have snowmobilers enjoying the Northern Ontario nickel belt late into the season. Load up those sleds and make your way to Sudbury. This just may be one of your new favourite places to ride.